Did you know that the BBFC has a photo gallery? 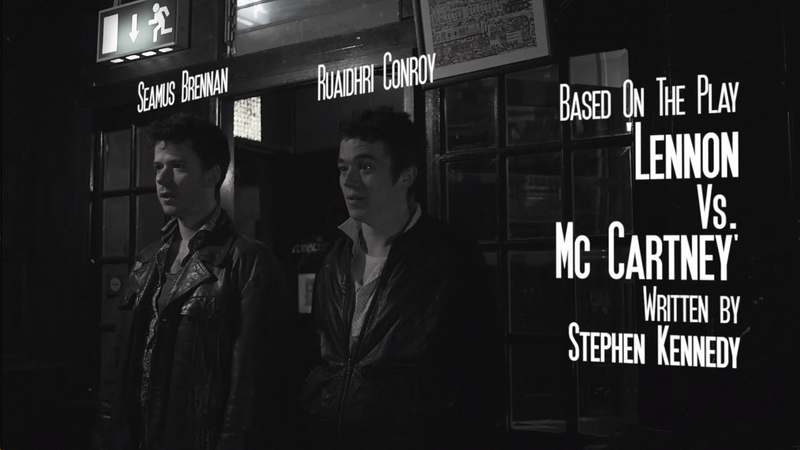 It started as part of the MyBBFC Android App we launched last year, but anyone can view it on FLIKR. 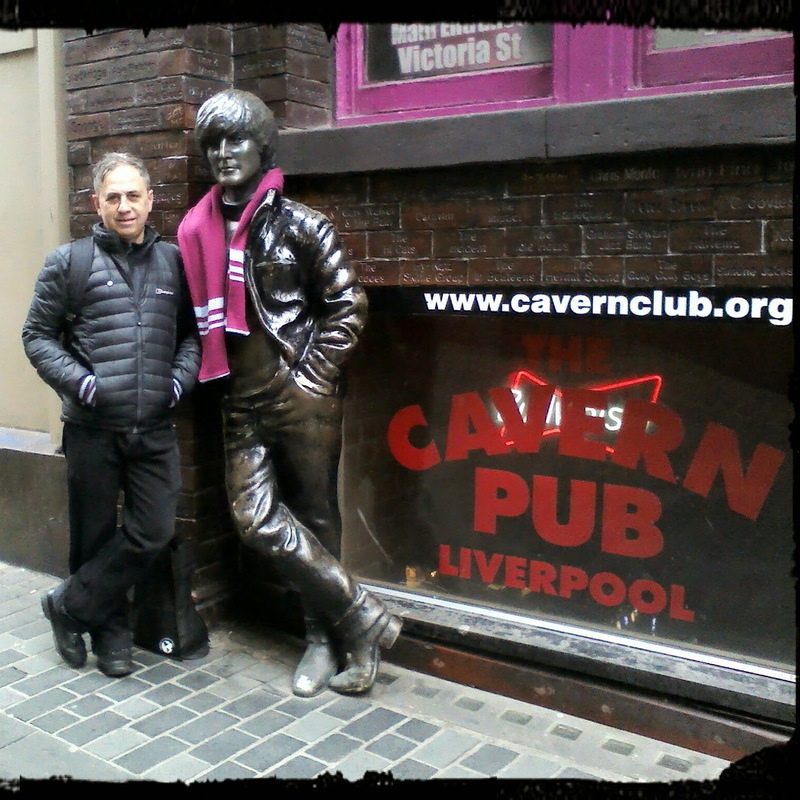 Long term fan Andrew recently sent in a photo of himself posing with the John statue in Mathew Street in Liverpool and we realized that most of us have taken that same photo. We thought it would be fun to collect as many as we can for the gallery. 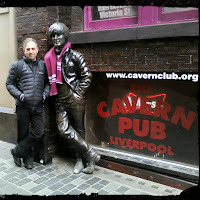 So if you have posed with a statue of John, please scan the photo and send it to us here. We'll add it to the gallery and celebrate John! 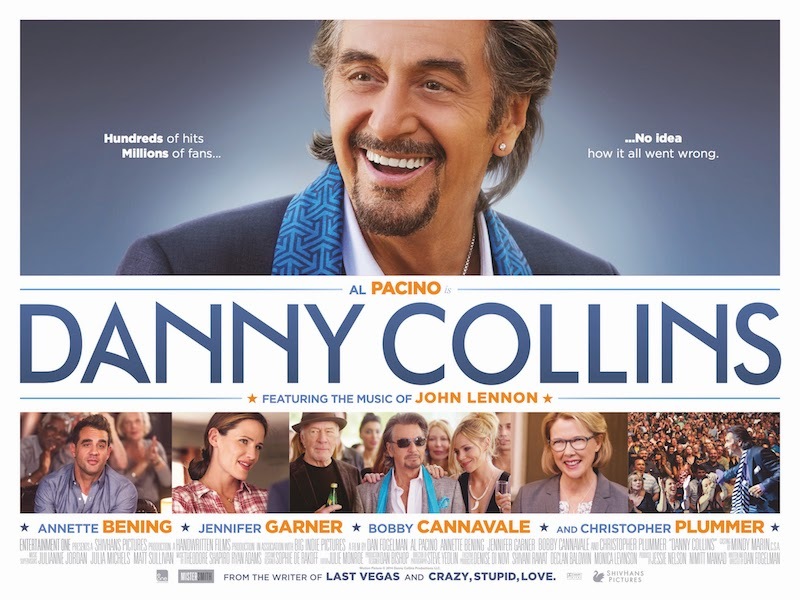 It's been awhile since our last competition so when the makers of this wonderful new film featuring John Lennon's music asked if we would like to have free tickets to the film to offer as a prize, we jumped at the chance! To make it fun, we took our inspiration from the film. 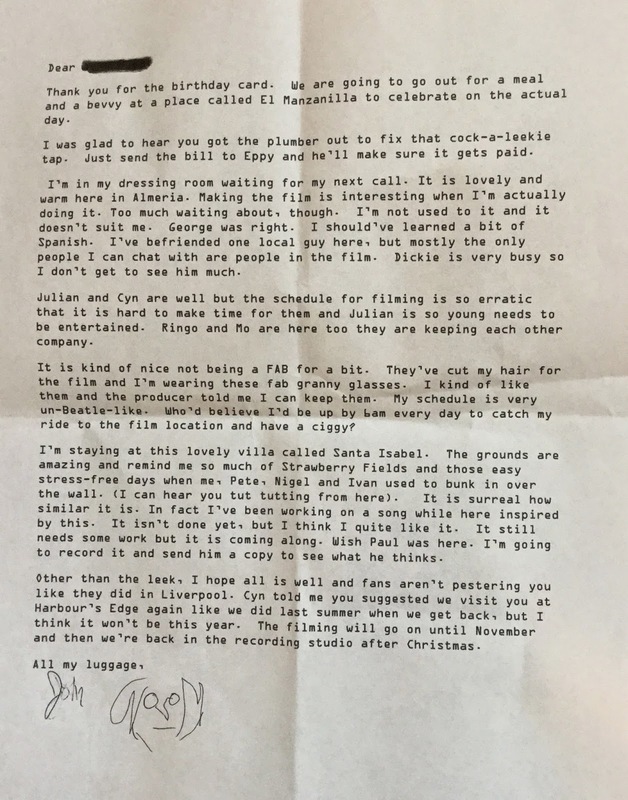 Since the film is about a letter from John Lennon to Danny Collins, we've created a fictitious letter from John that he might have written while out in Almeria Spain filming "How I Won the War" in 1966. All you have to do, is deduce from the clues in the letter, to whom the letter was written. 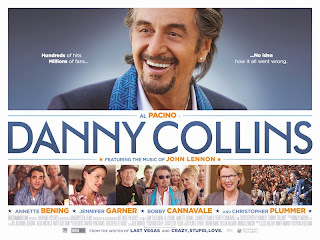 All correct entries will be put in a hat for a drawing and the lucky winner will be randomly selected on May 29th, the date the film Danny Collins is released in the UK. The Task: Read the letter in the image at the bottom of this post, and figure out who the letter was written to from the clues in the letter. Who can enter: You must be a current BBFC member with a membership number and membership dues current. 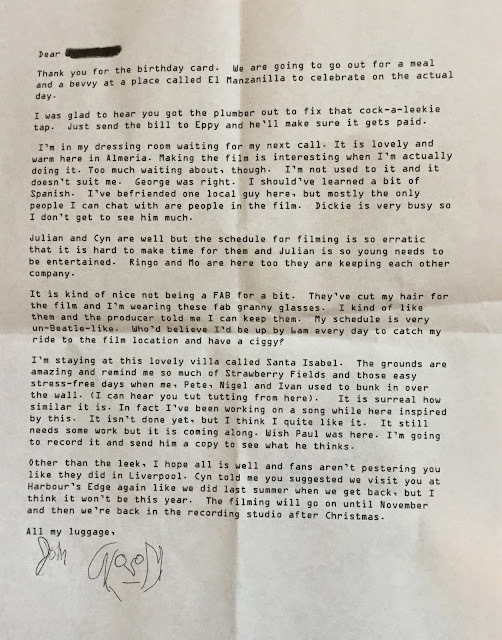 Answer to the question "Who was John writing to in the letter?" Notice - the film company contacted us to say they can't provide the poster as promised so the prize has been changed to two free tickets to see the film. We know there are hundreds of fact based Beatles books out there and many of them are interesting and wonderful to read and learn about the Beatles. We review new releases every quarter in our club magazine. However, as summer approaches, perhaps you are looking for something entertaining to read that isn't just the story of the Beatles. Perhaps you are looking for something with a plot, some adventure or even a bit of science fiction that includes the Beatles as part of the story. Well if that interests you, below is a list of books you might want to investigate. All are available via Amazon. Some are also in Kindle format if you want to read them in ebook format (handy for lounging on the beach). 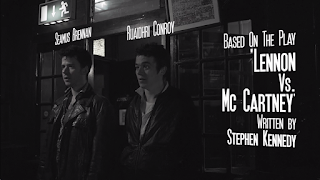 This murder mystery takes place in the Beatles heyday in the neighborhood around Abbey Road. The Beatles figure predominately in the backdrop of the story through as real life events such as John and Yoko's arrest at the same police station where the detective works. When the murder victim turns out to be an Apple Scruff, the detective finds himself visiting the Beatles Fan Club, George and Patti's house and more trying to identify her and her murderer. The book is a gritty mystery on its own but I found it even more interesting with the expert weaving of real Beatles events, locals and facts into the plot. Even if you are not a science fiction fan, if you're a Beatles fan, you will enjoy this well written story about a drummer from the the current day USA. Through a strange serious of events, Evan finds himself transported suddenly, not just back in the 1960's, but across the pond in Liverpool. His timing couldn't be better for a drummer when he realizes that he knows the Beatles are about to replace Pete Best. Could he possibly use this knowledge to get in first and get the job instead of Ringo? Nan is a grandmother with a mysterious past and a deep connection with George Harrison whose spirit visits her at critical crossroads in her life. To her daughter and granddaughters she is just Nan and they and as she nears death from an illness, her granddaughters become interested in Nan's early years. No one could have guessed that in the 1960's she had been a hip Liverpool lass who chose to alter her life by entering a convent to give her life to God. Obviously with granddaughters, she didn't stay in the convent, but what happened and how was George involved? The book tells Nan's story over the years in flashbacks via letters and poems and dreams. What if the Beatles had secretly reunited in the 70’s and recorded an album of their best work in complete secrecy, but hid the work away after another break up? And what if you discovered this information 40 years later? Follow the action and adventure in this fictional account of a group of Beatles fans who stumble upon a clue and set out to find this unreleased music. Their hunt takes them from Scotland to the Isle of Wight and it appears that someone else is determined to get to the music before them. 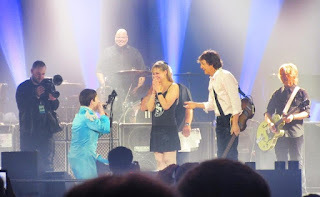 Beatles fans around the world will enjoy the exploits this group of die-hard fans experience in their efforts to follow clues left by Paul 40 years ago as they set out to prove that this music really existed. The Mad Day Out Gang from 'Still [Just] 4 Liverpool Lads' is back again and this time they are just off to have some summer fun in Liverpool during Beatle Week. The trip is plagued with a series of mishaps that starts with train delays caused by a jewelry theft in Wales and grows steadily worse. It appears someone is targeting the group and means business. But why, and how can they make it stop before someone gets hurt? Just as in their first outing in London, this group of Beatles fans are quick witted and resourceful and once they figure out why they are being hunted down, they set out to turn the tables and set a trap to snare the bandits and save the day. This book starts out as a series of letters answered by Ron who responds to letters sent to him from strangers asking questions similar to an agony aunt column. Ron's replies tend to ramble on beyond the original question and over time reveal his and Eddie's history through stories and reminiscences. Technically this book isn't about the Beatles but it is interesting and two of the chapters do tell an interesting story about the time these two characters managed to sneak (twice!) onto the roof of Apple offices in Saville Row and into Apple itself during the days that the Beatles were still a band.